Cass Meurig – Cantores gwerin Cristnogol a chwaraewraig y ffidil a’r crwth – Christian singer-songwriter and fiddle and crwth player. 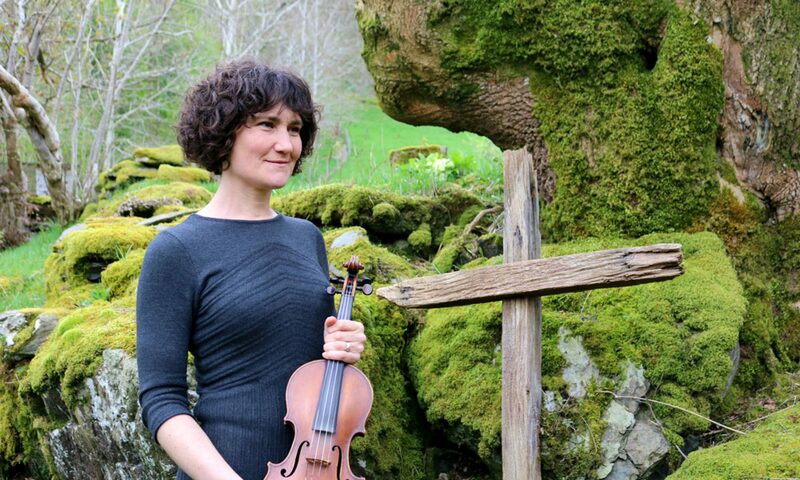 Cass Meurig is a Christian singer-songwriter and fiddle and crwth player living in Bala, North Wales. She has performed nationally and internationally as a solo artist and in folk bands and is known as one of Wales’ foremost players of fiddle and crwth, a medieval bowed lyre which ranks as one of Wales’ most exotic native instruments. Previous work as a soloist has included the opening concert of WOMEX in Cardiff in 2013, Telemark Festival (Norway), Festival Interceltique de Lorient and Saint Chartier festival (France) and Viljandi Folk Festival (Estonia). Cass is a former member of Fernhill featuring on two of their albums (‘Whilia’ and ‘Hynt’) and of North Wales band Pigyn Clust (‘Perllan’, ‘Enaid’). In 2004 she released her first solo album, ‘Crwth’ on the acclaimed Fflach:tradd label. As the world’s first collection of music for the Welsh crwth, the album attracted attention both in the Welsh media and on Radio 3’s Late Junction, and was hailed by Songlines magazine as ‘it feeds the head inspirationally’. After a successful series of solo gigs Cass made two duo albums ‘Deuawd’ and ‘Oes i Oes’ with guitarist Nial Cain, both warmly received. 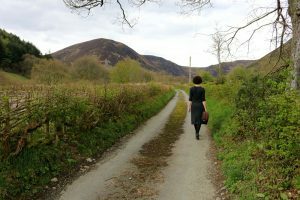 Other Welsh artists with whom she has recorded include Cerys Matthews, Gwyneth Glyn and Fiona and Gorwel Owen. In 2012 she gave up a career in secular music and spent three years training for Christian ministry. During this time she began to write a collection of songs combining traditional tunes with new lyrics reflecting on the Christian faith and her own personal journey. Her new solo album ‘Taith’ featuring these songs is due to be released in July 2018 at Coda Festival.